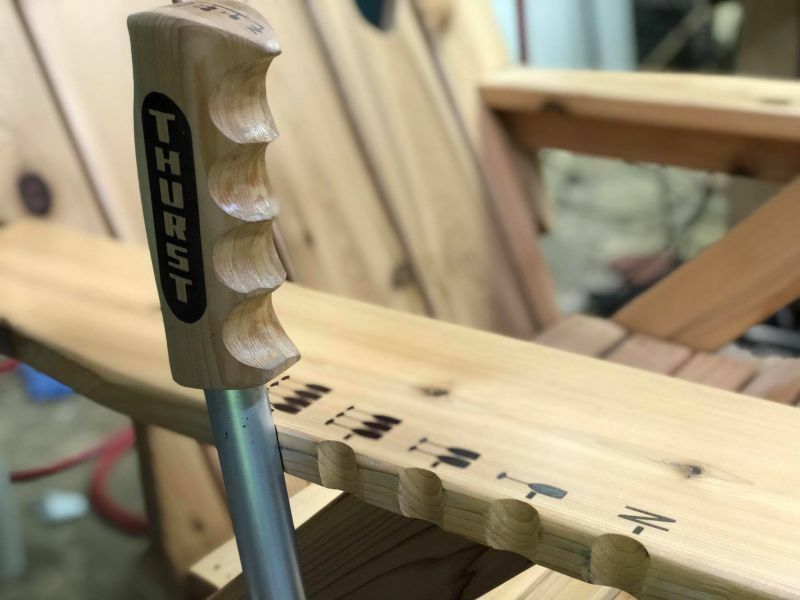 Matt Thompson, a skilled woodworker from Michigan, likes his drinks chilled, served on the platter while he is relaxing on his lounge chair. That was apparent from the beer dispensing chair he created last year, and now the DIYer is at it again. 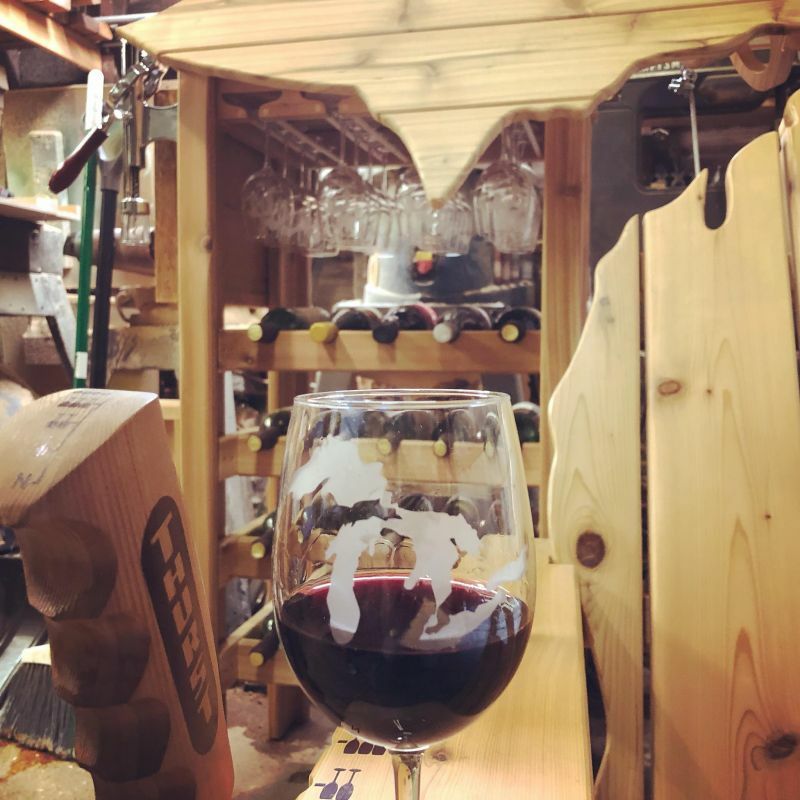 This time around Matt has come up with a Rube Goldberg-inspired wine chair which fills the glass with wine at the push of a lever. 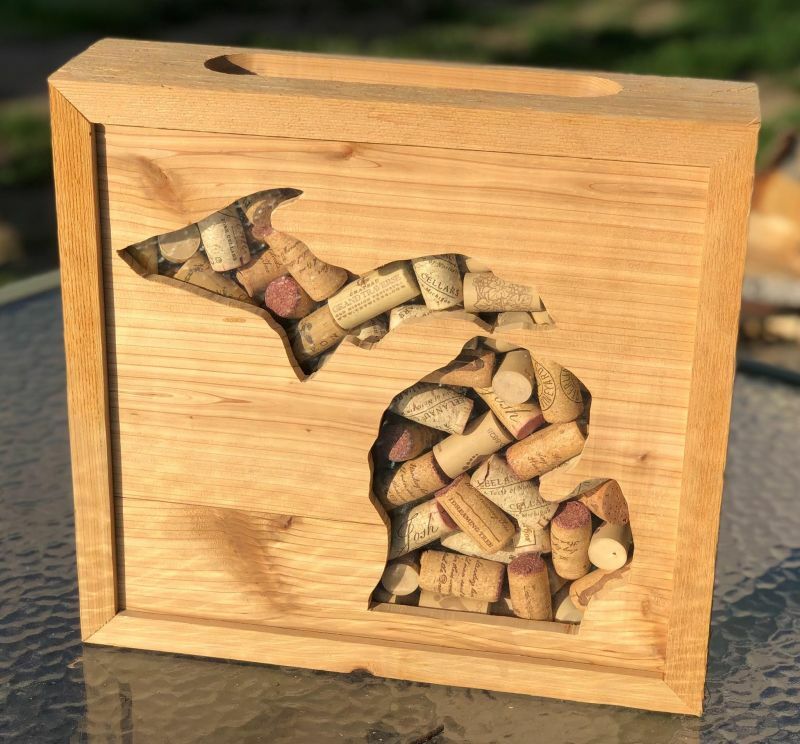 Christened as the Michigan Wine Chair, this wooden lounge chair serves wine without any hassle. All you need to do is, pull the lever on one side of the armrest and wine is dispensed. 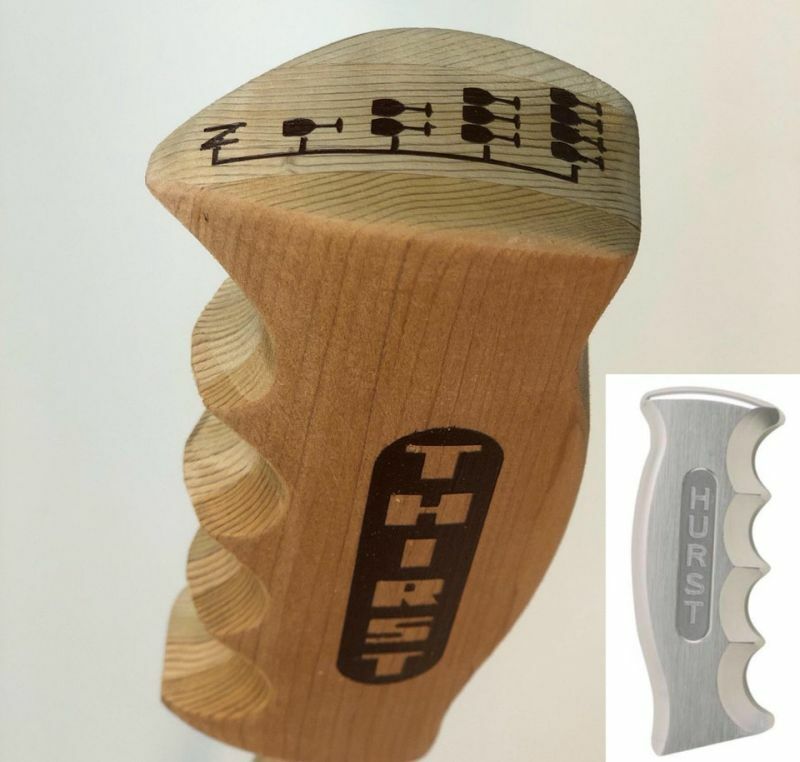 Shifting at four different levels indicated on the wooden handle dispenses the desired amount of wine. The mechanism looks quite complicated but it’s just a combination of pulleys, springs, and lever to raise and lower the bottle holder to pour a perfect glass of wine. The wine bottle is placed inside a holder and wine opener, on the other hand, pops the cork to drop it in the wooden cork catcher. The wine bottle is placed inside the holder which is connected to the gear shifter (well, sort of). Since wine enthusiasts love to have bottles and stemware in one place, there’s a wine rack built alongside the wooden lounge chair. The rack can also hold cocktail glasses for instant parties. 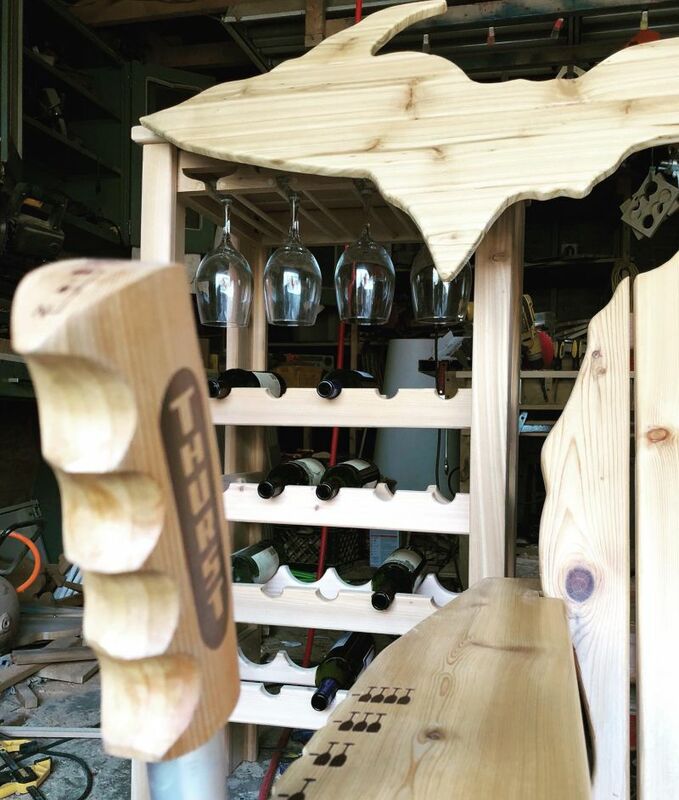 For now, Matt has no plans to sell the Michigan wine chair (just like its predecessor) but avid DIYers will already be eyeing the design and planning to build one for themselves, we are sure! What if the Iron Throne in GoT had a similar drink dispensing mechanism, would there be more bloodshed? Crazy thought, but this wine dispensing chair evoked it at first glance. What do you think?